On this day in 2003, Bernard Hopkins closed in on his match with Oscar De La Hoya by beating William Joppy by 12 round unanimous decision. At the time, the key for Hopkins was to just keep winning for two reasons. He already had the record for most middleweight defenses, but wanted to amass as many as time would allow. And although he had demolished Trinidad in a bona fide super-fight, Hopkins had yet to really cash in with a mega-payday. A fight with Oscar would surely do that. His win over Joppy, an accomplished pro and former two-time champ, kept everything moving forward. 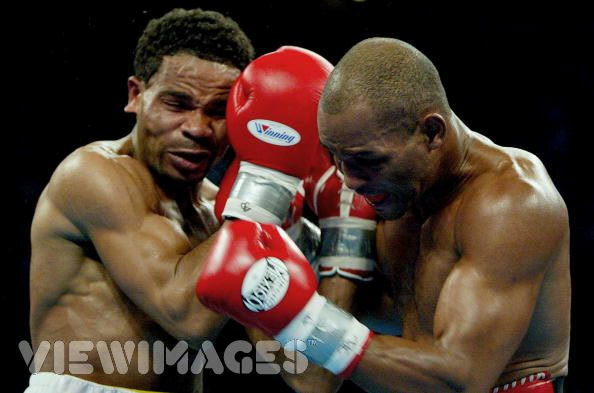 The fight was the feature bout on a monster card in Atlantic City that showcased several title contests including Ruiz-Rahman, Spinks-Mayorga and Judah-Rangel. The workmanlike Hopkins methodically took Joppy apart brick-by-brick, building his lead jab after jab, right after right, and round after round. 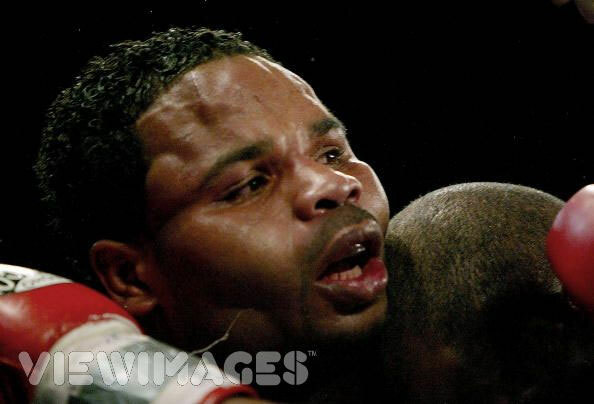 Joppy toughed it out for the full 12 rounds, but at the final bell his face was a freakish mask of lumps and bruises. With the win, Hopkins continued his world record title defense streak and moved into position for his 2004 superfight with Oscar De La Hoya.